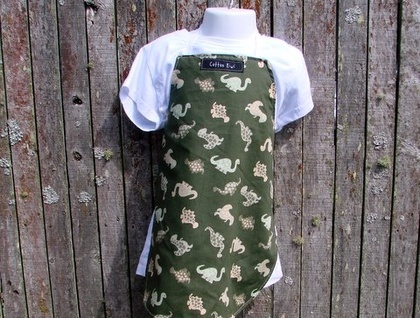 Boys' apron to fit ages 2-6. The model wearing the apron is 3. 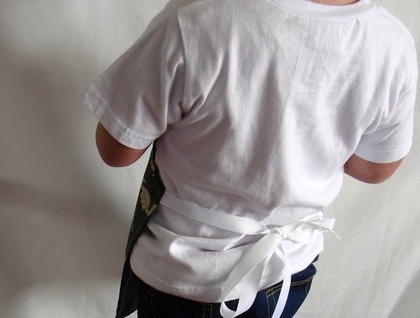 The apron has a water resistant backing to help protect your little chef's clothes.